(MoneyWatch) What do you get when you combine an artist with an inventor and add a knight? Sir James Dyson. Dyson started out studying art, but after falling in love with industrial design switched to engineering. He set out to create the first vacuum cleaner without a bag, and after thousands of prototypes and failures, he famously did just that. The only problem? No one would back him financially. Living off his the income of his wife, who was a teacher, Dyson refused to give up and scraped together whatever funds he could to get his product on store shelves. In 1993 the first Dyson vacuum went on sale and within 18 months was rated as a top seller. Today, Dyson has more than 3,000 patents on 500 different inventions, including vacuum cleaners, hand dryers, bladeless fans and heaters. How did he do it? Watch and see. 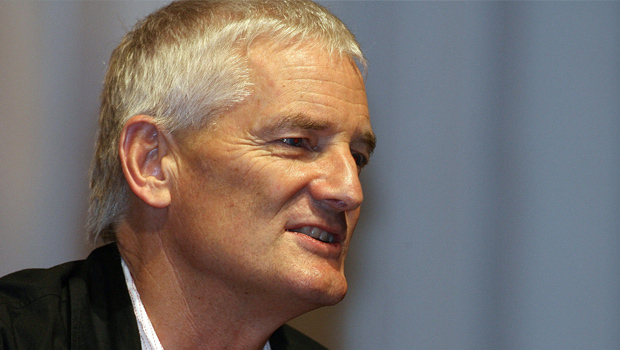 Sir James Dyson: At university I started off studying art, but quickly found industrial design. Art was just part of the equation -- an object is only truly beautiful when it works. I was asked by Jeremy Fry, an industrial designer and mentor of mine, to have a go at engineering an invention of his, a high-speed landing craft called the "Seatruck." It was an ambitious attempt for someone just starting out, but it convinced me that I wanted to be an engineer, and it made me hungry for more. JD: After thousands of prototypes and 15 years of fist-pounding failures, I'd developed the first bagless vacuum cleaner -- one that wouldn't lose suction. But that wasn't the end of it. I traipsed around the globe trying to convince vacuum manufacturers to take on my idea. No one would have it. And why would they? They made their money from bags. So I went off on my own. I got more no's from merchant bankers and venture capitalist until finally a "high street" bank gave me a loan. With the money, I was able to engineer and manufacture my first vacuum. It went on sale in 1993 and became a No. 1 seller in just 18 months. Proof to the naysayers that people want technology that works. RJ: What's your No. 1 piece of advice for entrepreneurs? JD: Protect your ideas. Early on I made the mistake of not patenting one of my inventions in my own name. It was a new take on the wheelbarrow, but I replaced the wheel with a giant pneumatic ball. The company I worked for booted me out, and I lost all rights to the "Ballbarrow." A painful lesson. But now we have over 3,000 patents on 500 different inventions. An inventor's ideas are his lifeblood, and they must be protected. JD: I've always been drawn to Buckminster Fuller -- his designs were completely unconventional. He struggled to convince people that his ideas were sound. Bucky was different, a bit of a maverick. He experimented and built prototypes, and turned structural engineering on its head. I call it "wrong thinking" - what most would consider wrong is just an area that's yet to be explored. JD: We are looking for engineers to help develop new technology. But they are hard to come by these days. Engineering is a fascinating field and it drives the economy forward, but too few are taking it on. We need to excite young people about engineering; it invites you to make mistakes -- even requires it. My foundation helps to bring engineering to life for students. Through after-school clubs and workshops, students brainstorm, sketch and build prototypes of their ideas. The hope is that we encourage the next generation of engineers, maybe even Dyson engineers! For more on Dyson visit their website.